J'ai l'immense plaisir de vous présenter ma deuxième collabo street style pour le blogue new-yorkais The Cut !! Cette fois-ci, on m'a demandé des looks chapeaux. 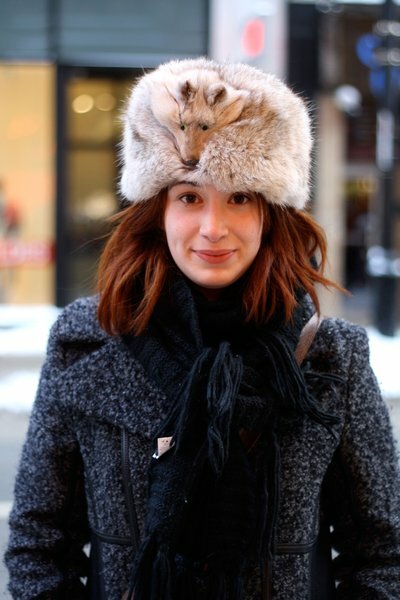 Jetez un coup d'oeil à mes photos de Montréal, ainsi que tous les autres looks repérés un peu partout dans le monde: Around the World in 45 Hats. I have the great pleasure of presenting you my second street style collaboration for the New York blog The Cut!! This time, they asked me for looks featuring cool hats. Check out my pictures of Montreal, as well as all the others found all over the world: Around the World in 45 Hats. J'aime ton blogue! Loving your blog! Just found it an am following you! You're a montrealer to boot! Love to work together if you'd interested! Rappel: Concours MTL, toujours en cours !